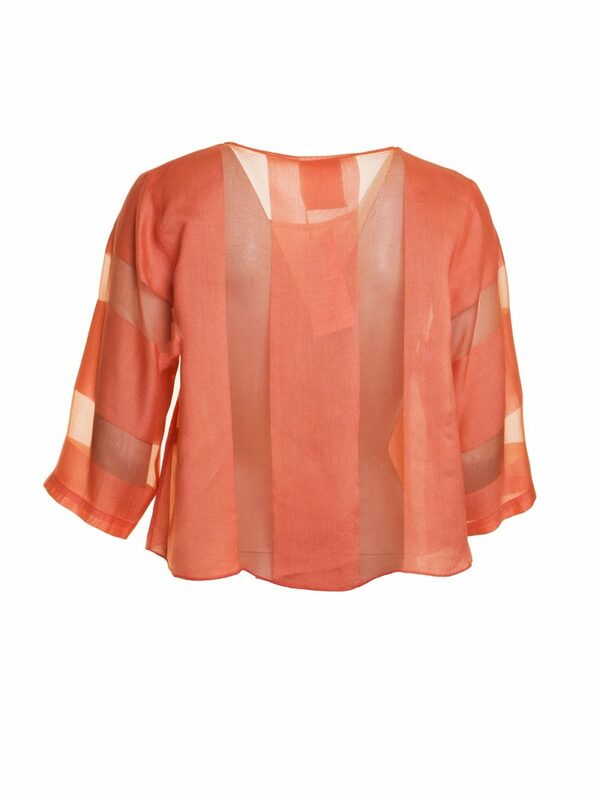 Out of Xile orange striped silk-blend top. 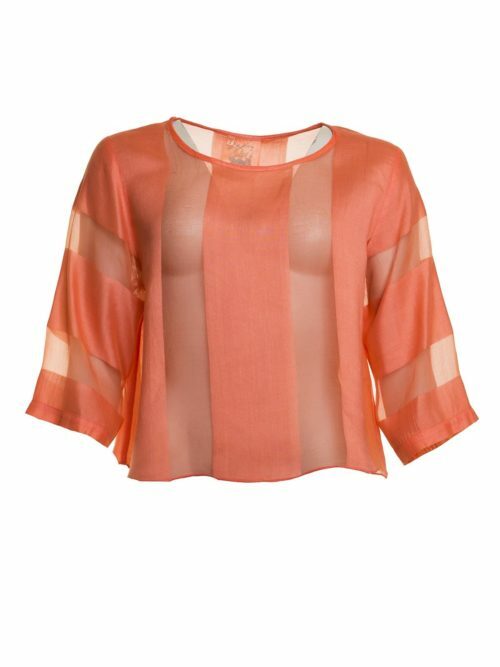 Katie Kerr Out of Xile Sheer Wide Stripe Over Top in orange. 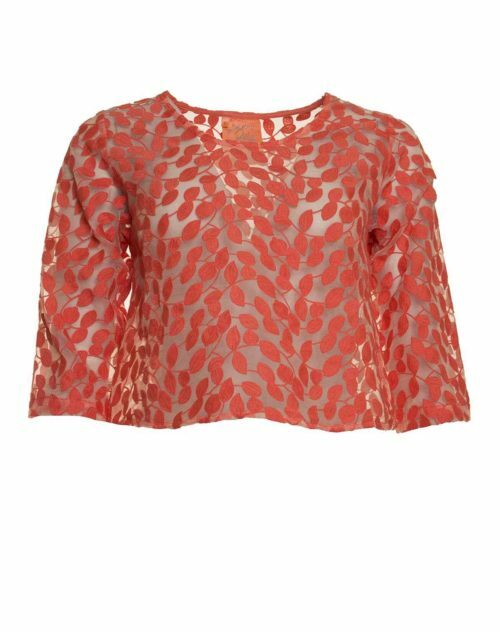 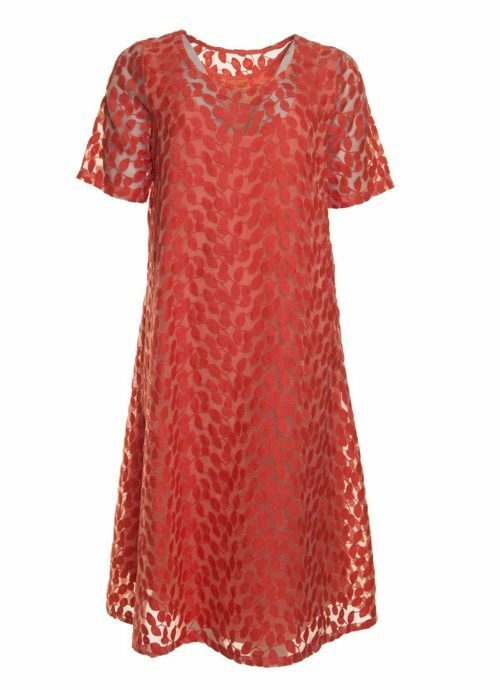 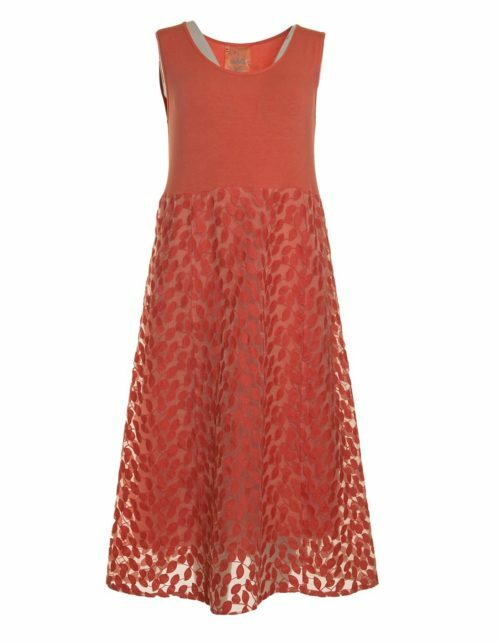 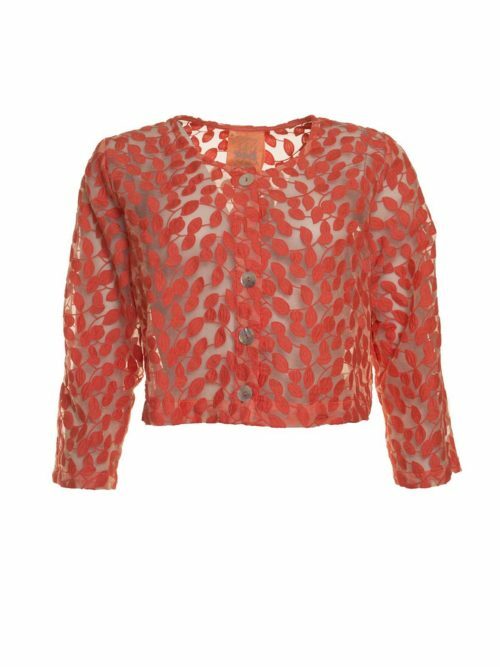 This stunning top is crafted from the most exquisite, light-as-a-feather silk-blend fabric, in a coral stripe with alternating sheer panels. 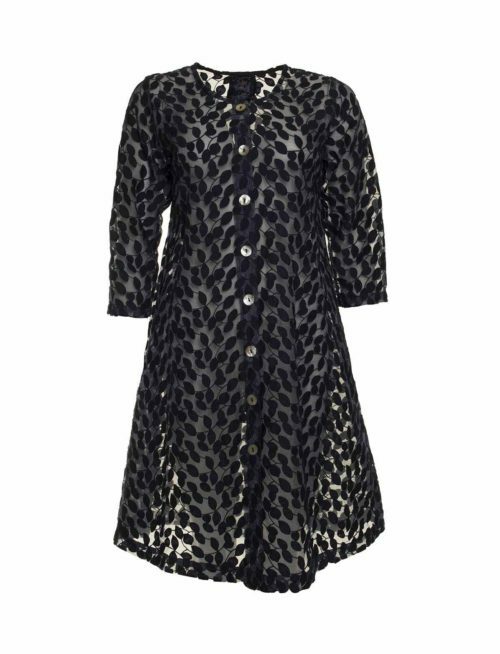 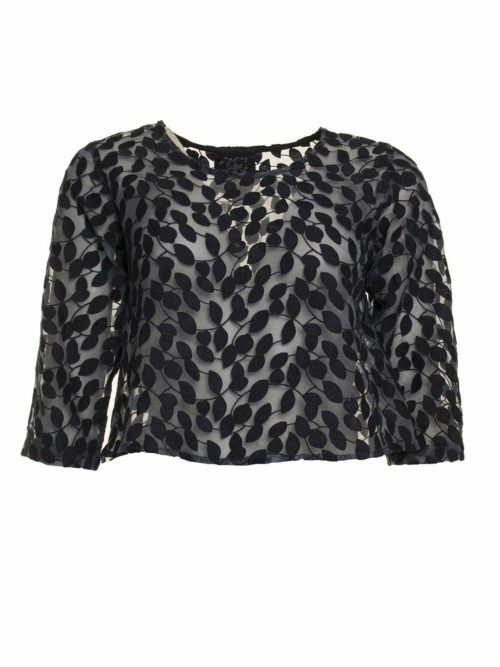 It has a round neck, three-quarter sleeves, and its cropped length and A-line cut make it both comfortable and flattering. 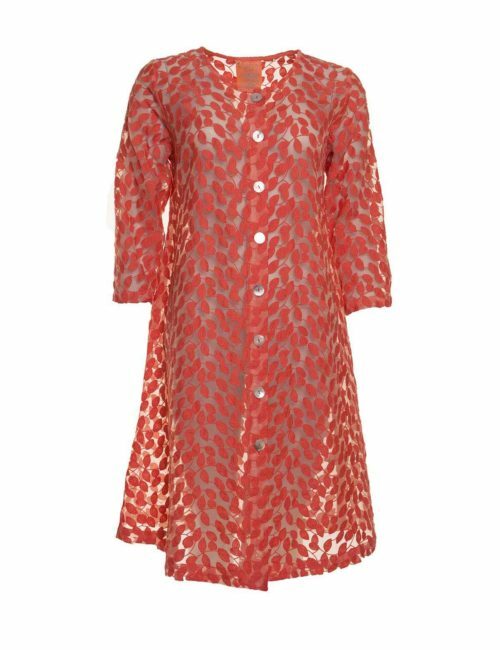 The vibrant colour complements the stylishly-simple design perfectly. 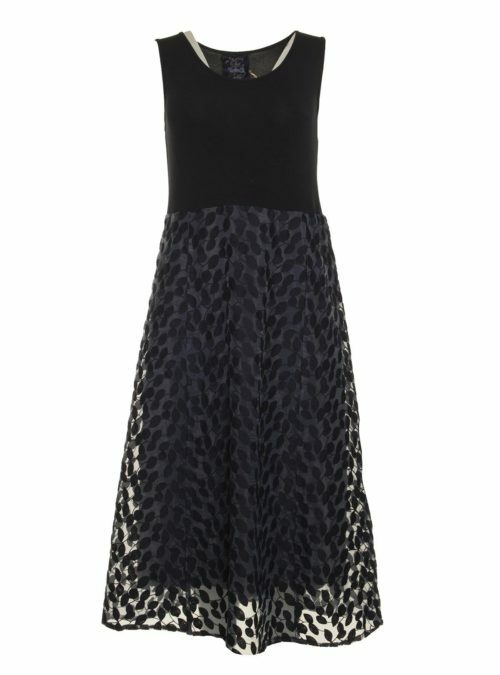 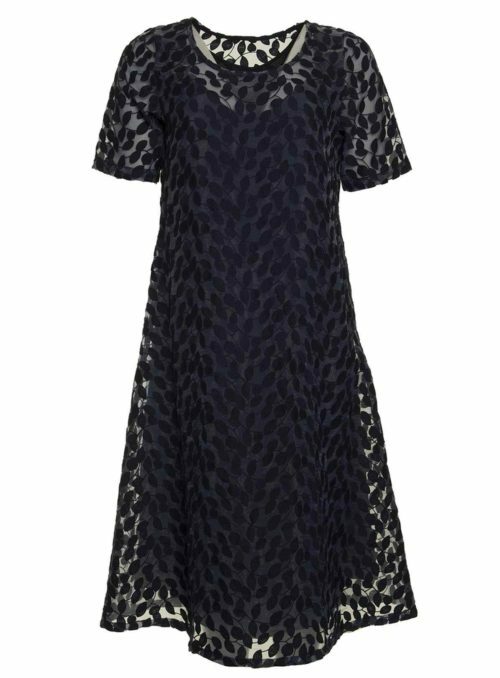 Can be worn as is, or layered over Out of Xile’s Leaf Embroidery Panel dress OE368. 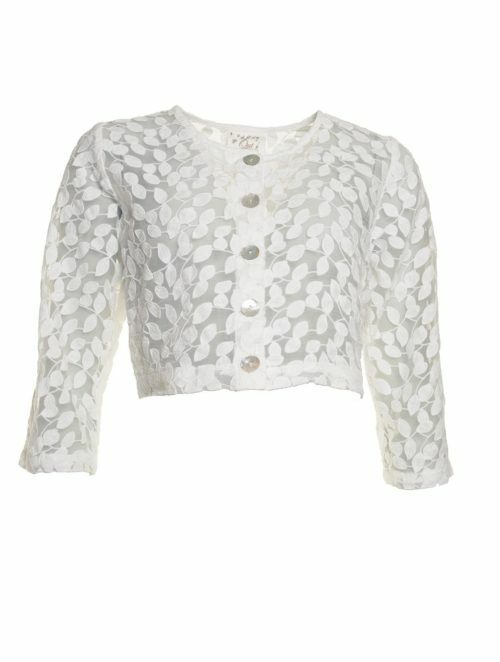 Measurements (size M): underarm 55cm (seam to seam); back length 52cm.